We identify how the use of effective Counter Surveillance can very quickly force the authorities into action by providing hard evidence which cannot be ignored. An individual had witnessed a serious assault in the North East of England and reported this to the police. The incident involved a local high profile ‘hard man’ who ran a gang of thugs. Within days of reporting the matter to the police, the witness began to receive threats. These were initially subtle and were ignored but quickly they became more targeted resulting in direct serious threats which frightened the witness. The police were excellent and provided a panic alarm and support officer, however, did not have the resources to provide around the clock protection. The witness worked within the community and it was during this time they began to suspect they were being followed. After several panic alarm activations the witness began to feel a burden and stated they felt the police did not believe them, the witness thought they were going mad. Lateo Surveillance formulated a Counter Surveillance plan via a secure means of communication. The plan was implemented and within 2 days had obtained vital video evidence of two vehicles following the witness. One of the vehicles were followed to a kebab shop owned by the individual who had committed the initial assault. The individual who had committed the assault was observed and videoed talking to the driver of the vehicle which had been following the witness. All information was recorded, detailed reports produced and video evidence presented to the police, several arrests were made and the witness received the correct levels of protection. Whilst this turned out to be a relatively straightforward counter surveillance case there are occasions where you may be up against professionals who are difficult to spot and much harder to follow. 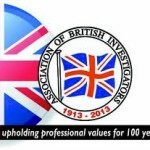 The key to this investigation was identifying the witness was, in fact, being followed and was not being paranoid but crucially the association between the person following our witness and their liaison with the perpetrator of violence. If you feel you are being followed or watched we strongly recommend you contact the local police immediately and the report the matter whilst keeping a detailed diary. Ignoring the issue will not make it go away. At Lateo Surveillance our Counter Surveillance teams are experienced and will provide the evidence needed to give you the upper hand. Our procedures are tried and tested, we have operated commercially and privately giving our clients confidence to go about their business with freedom of movement. We have also tested other counter surveillance and security teams. Please feel free to contact us for a free, no-pressure consultation. 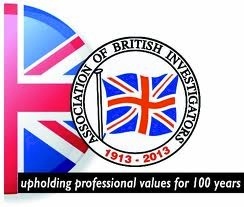 The principle investigator of Lateo Surveillance Ltd is a full member of the Association of British Investigators. Thank you for visiting our Counter Surveillance Case Study page.